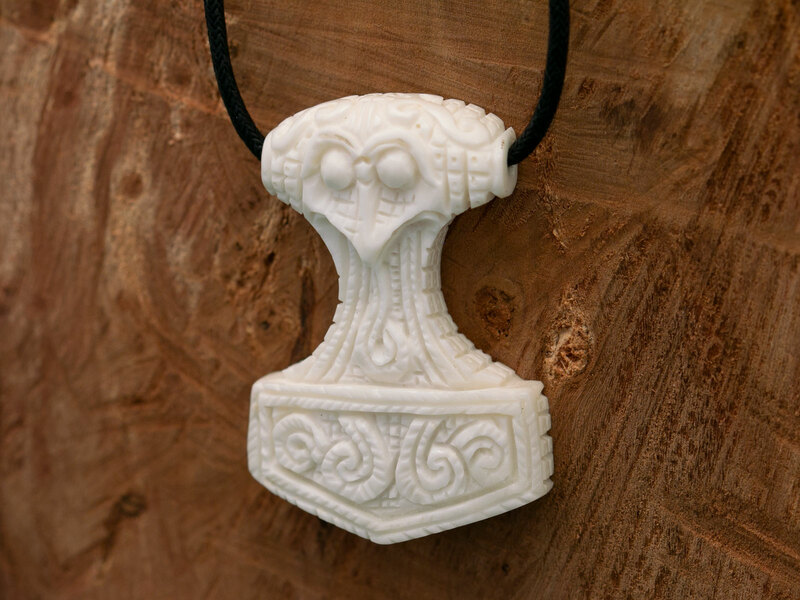 This is the replica of the famous treasure piece of the Viking era with stylized raptor head and ornaments. Original location: Schonen in Sweden. 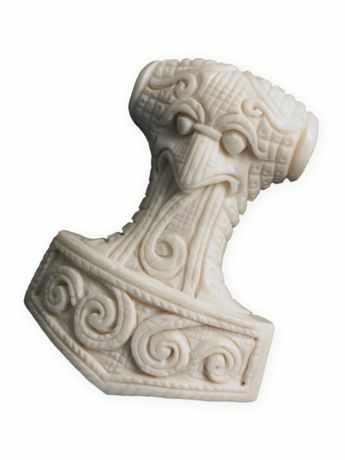 In nordic mythology Thor was the mightiest of all gods and ruler over thunder, the winds and fertility. As a god of law and order Thor punished through throwing his magic double headed warhammer "Mjöllnir" ("Crusher", "Lightning" or "shiny flash weapon"). It symbolizes lightning and thunder and always returned to him just like a boomerang. It could bring death, but could also awake the dead back to life. Together with ornamental hammers they have been worshiped as holy symbols and worn as protective amulettes and used as jewelry, which was supposed to avert fire and evil and bring fertility. The Hammer of Thor was for the germanic tribes and the vikings a symbol of strength, decisiveness and of long life. In form of a pendant it was used as a counterpiece to the christian cross and was connected to fertility rituals and marital sanctifications. It also was used as a lucky charm. Handmade from natural materials: slight variations in shape, size, colors and material structures are possible.